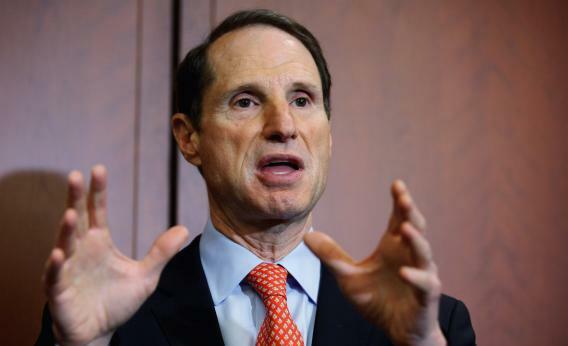 Ron Wyden: DoJ may have to release FISA-related documents demonstrating excessive government snooping. On a U.S. government database somewhere, there is a classified court opinion that details unlawful surveillance of Americans’ communications. And the Justice Department is fighting to keep it secret. When Wyden revealed the FISC ruling on the unlawful snooping, he did not disclose details about exactly what the surveillance involved or how many Americans were affected. But his comment prompted the Electronic Frontier Foundation to take legal action in an attempt to obtain more information. After filing suit in a district court, the rights group successfully established earlier this year that the Justice Department holds an 86-page FISC opinion, issued on Oct. 3, 2011, which appears to be the case Wyden cited. Now the EFF wants that opinion to be made public. The DoJ said in a court memorandum filed in the district court case that it should not have to publish the secret opinion because doing so could cause “exceptionally grave and serious damage” to national security by revealing sources and methods. In addition, the DoJ claims that it could not elect to release the opinion even if it wanted to because publication would have to be approved by the FISC judge who authored it. In response, EFF has taken up the case directly with the FISC, which is now considering whether to release the documents on the unlawful surveillance. Last week, FISC Judge Reggie Walton ordered the DoJ to respond by June 7 to a motion filed by EFF requesting the release of the opinion, giving the department a fresh opportunity to advocate for non-disclosure. The EFF case offers the FISC an opportunity to pre-emptively embrace greater transparency. Of course, the DoJ is likely to argue strongly against the release of the controversial opinion on the unlawful snooping in line with a general trend toward excessive government secrecy. But it should be possible to strike a balance between national security state secrets and the public’s right to know—especially when it comes to information about unconstitutional government surveillance.